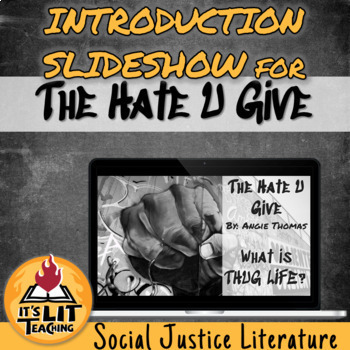 This slideshow is a quick way to introduce Angie Thomas's The Hate U Give to your class. This Powerpoint covers the basic premise of Tupac's T.H.U.G. L.I.F.E. and its influence on Angie Thomas. It also covers background information that is later alluded to in the novel. 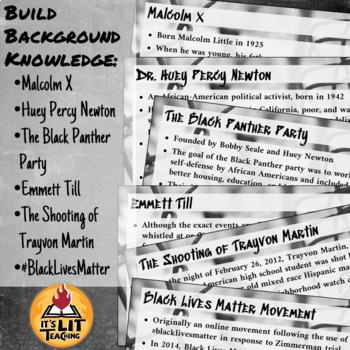 This introduction can be a quick review for your students, or an all day lesson with note taking and poetry analysis of Tupac's "The Rose that Grew from Concrete." 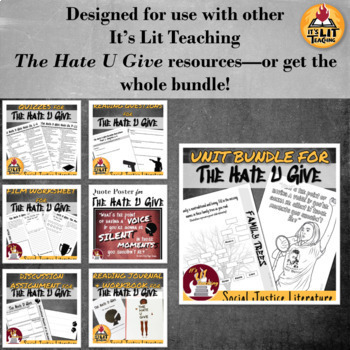 ***This slideshow is available as part of my money-saving The Hate U Give Unit Bundle. This slideshow works great with my The Hate U Give Reading Journal, which has three pages of guided notes included in the workbook.